Unstructured data growth, meet object storage. 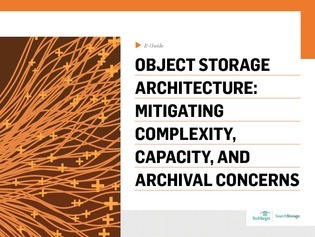 This downloadable PDF understands that non-traditional data types require non-traditional storage systems, and will serve as your full guide to object storage implementation, with cloud workload, sync-and-share, API-accessible storage, and more use cases examined. Download now to gain full access, learning how object storage maintains the unstructured data deluge, and view an object vs. file vs. block bake off.